Summer is upon us, and nothing quite says summer more than eating freshly picked blueberries or using them in delicious desserts. California blueberry growers can find an additional treat – the newly published UC IPM Pest Management Guidelines for blueberry on the UC IPM web site. California is quickly becoming a top producer of blueberries, and the new guidelines can help with management information on blueberry pests such as thrips, light brown apple moth, and spotted wing drosophila with additional information on pesticides and resistance. It may be hard to believe but as of 1996, blueberry production was limited to colder states like Washington, Michigan, New Jersey, and Oregon, where naturally acidic soils and winter climates suit the traditional highbush varieties. As recently as 1997, California blueberries were only growing on less than 200 acres across the state. According to the latest CDFA statistics, 2012 continued to show what has been an increasing trend for California blueberries, with more than 40 million pounds harvested, $133 million sold, and plantings in more than 4,700 acres spanning San Joaquin, Tulare, Kern, Ventura, and Fresno counties. In 1995 the University of California Small Farms Program and cooperating farmers started evaluating low-chill southern highbush varieties in San Luis Obispo and Ventura counties. They found that “low-chill” southern highbush varieties offered the most promise for extended season production on the central coast. By 1997, Kearney Agricultural Center trials found that southern highbush cultivars were also well adapted to the semiarid climate of the San Joaquin Valley. Further evaluations identified the best yielding and flavorful cultivars. 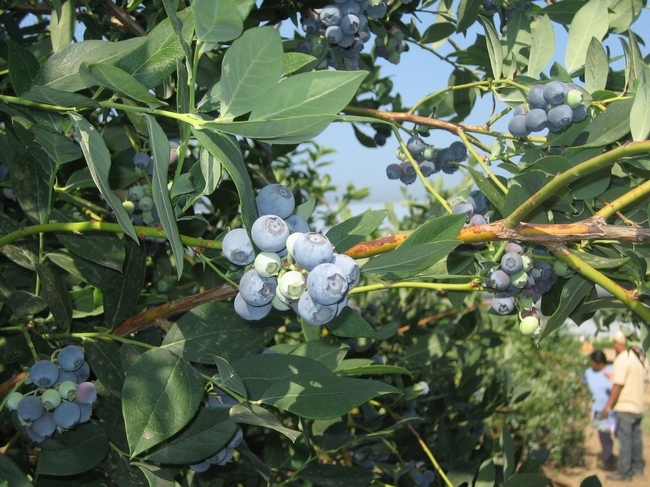 Initial and ongoing UC Small Farms studies have escalated California blueberry production swiftly up the learning curve, providing California farmers of small to moderate operations a niche in a very competitive market. Today, California blueberries are harvested from May through July in the San Joaquin Valley and January through May on the central coast. While consumer demands are on the rise and profits can be excellent, producing and harvesting blueberries in California is expensive. 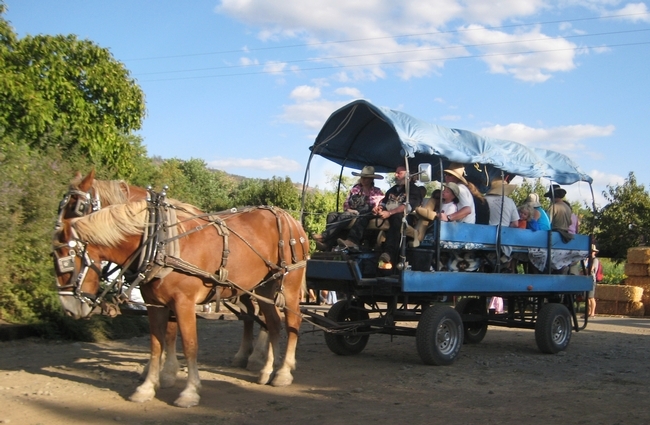 It can run over $10,000 per acre to prepare a field because successful cultivation in many areas necessitates soil and irrigation water acidification and adding tons of mulch per acre. Specialized equipment, labor-intensive pruning, and pests like light brown apple moth, thrips, and spotted wing drosophila can add substantially to cost. Therefore, getting the right information and planning is imperative. While the UC Small Farms Program continues to develop field and market research for blueberry production in California, growers can also turn to the newly published Pest Management Guidelines for blueberries.